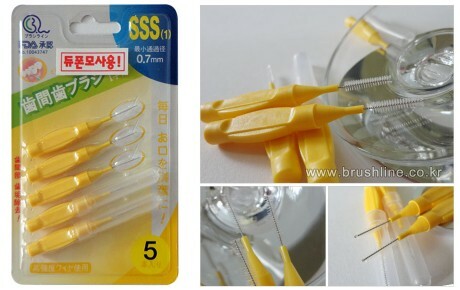 It was especially developed for those who have difficulty in using dental floss (orthodntai,crown, irregualr set of teeth).Interdental Brush is a brush with bristle on a thin wire. 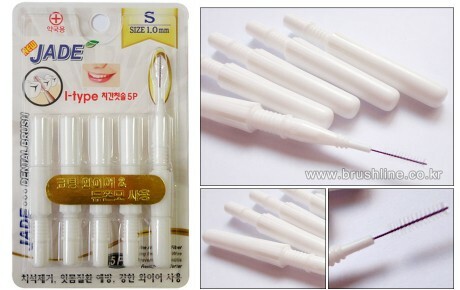 It rotated softly in between teeth and removes plaque. 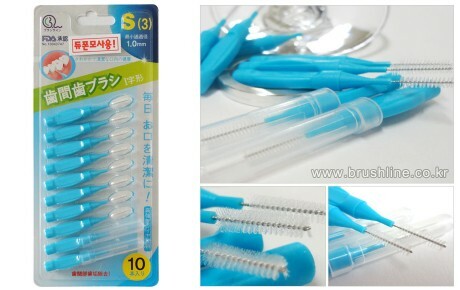 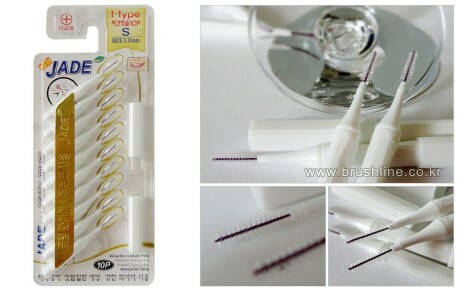 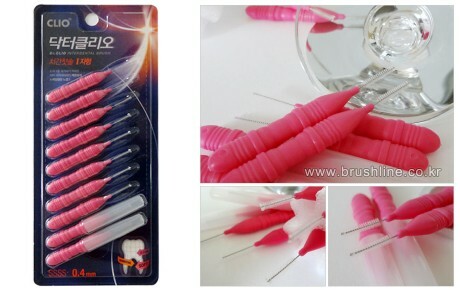 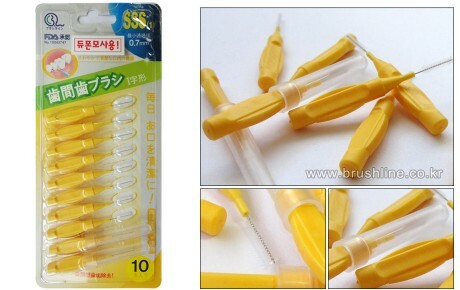 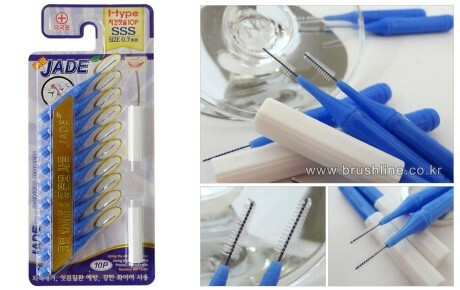 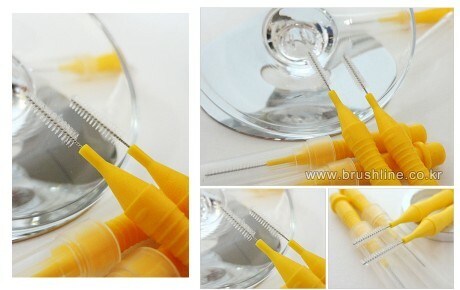 Depending on the thickness of bristle quantity and wire, Interdental Brush is classified into thin, medium and thick. 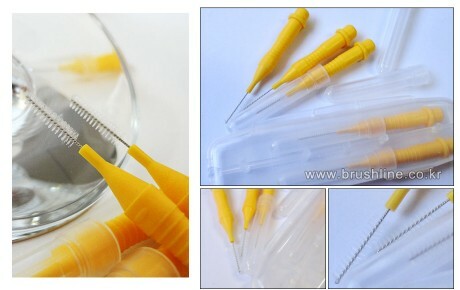 And depending on the shape of brush it is classified into tapered or cylindrical type.